Pollockshields had undergone several name changes. Originally when she was built in 1890 in Hamburg, Germany, she was known as The Herodot. This German vessel displaced 2744 tons of water, was 323 ft long and 40 ft wide. Later in 1903, she was sold to the Hamburg American Lines and her name was changed to Graecia. Soon the World War-1 broke out and she became a German Navy supply vessel. In August 1914, she started sailing from New York to Azores. And in October, she was captured by the British. The British then registered the ship under the new ownership of Tyack & Branfoot, Newcastle, and renamed it to Pollockshields. Next year, on 22nd August 1915, the Pollockshields left Cardiff of Wales with a crew of 37, and 350 tons of ammunitions and other provisions for the World War-1. As it was sailing over the Atlantic, the ship met with a severe hurricane. When the storm passed away, the crew looking at the color of the water, realized that they could be in deep trouble. And within minutes, the ship was struck by massive coral reefs near Elbow Beach of Bermuda. With a broken hull and water gushing in, all were moved to the upper deck and given out life belts. But there was one short. The only way was for someone to go down to a room in the lower deck and get another belt. The Captain Earnest Boothe asked one of his crew members Young to do the job. Young took up the brave act of going through walls of water only to find that the room was locked. He came back and offered to go back again with the key. The captain said it won't be fair for Young to go back for the second time. He decided to take the risk himself. He never came back. The eye witness last reported having seen the captains body over waves of water in the sea and very close to a sharp coral reef that was jutting out of the water. All others were finally saved one by one with great efforts from the rescue team that operated from the shore. And every one from Elbow Beach Hotel, then known as the South Shore Hotel, witnessed the rescue operation live. For a long time till 1960, the engine of the Pollockshields, heavily surrounded with sharp coral reefs was projecting out of the water surface. Many divers had hard times and got cuts trying to negotiate the reef in order to explore the shipwreck of Pollockshields. So the Bermuda Government engaged Teddy Tucker, a legendary wreck-diver, to blow up the base of the engine so that it sinks to the bottom. Today, you will find the Pollockshields wreck scattered across 20 to 40 feet of water and about 100 yards from Elbow Beach. You can see loads of ammunitions and shell casings along with the wreckage. However, the ammunitions are highly unstable and one should be very careful about them. The visibility can be anywhere from 30 feet during the swell to 200 feet in the winter. You can see two huge boilers. They are so large that divers can swim through them. There is also a massive spare propeller strapped to the deck. You will also find a long propeller shaft and the rudder section. Along with the flattened deck and hull plates that lay at the bottom, you can also see her triple expansion engine. While this is a great snorkeling site, it can sometimes be a little risky because of sudden surge of water that takes place when the weather is rough. A scuba dive from a dive boat is the best option. Check Shipwreck Map to get an idea about the location of this wreck in Atlantic. 1) Visit Famous Bermuda Shipwrecks to know about amazing stories of many other famous ships that were wrecked in Bermuda waters. 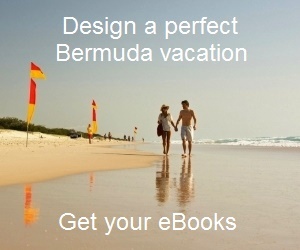 2) Check out Scuba Diving & Dive Shops to know all about diving in Bermuda.